Hey everyone! Happy New Year! I can't believe how fast 2015 went by. 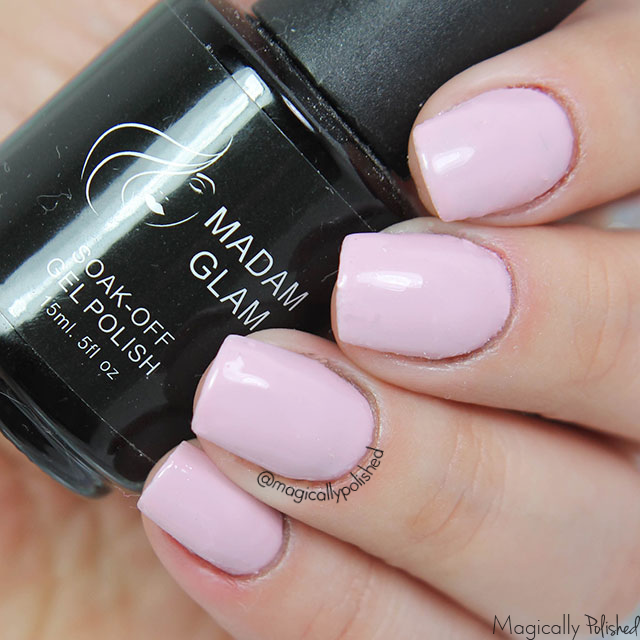 Today is the firs post of the year, and I have some swatches and review from a brand that I've come to love called Madam Glam. 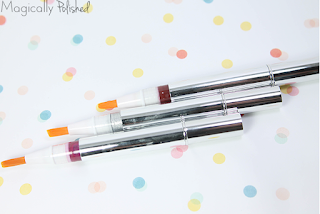 A few months ago I was sent these amazing Gel Polishes and a new product of theirs 3 in 1 Gel Nail Polish Pens. Perfect Black- is pretty much that a perfect black gel polish. Even this is one of the classic colors, but it doesn't hurt to have a black polish in gel. 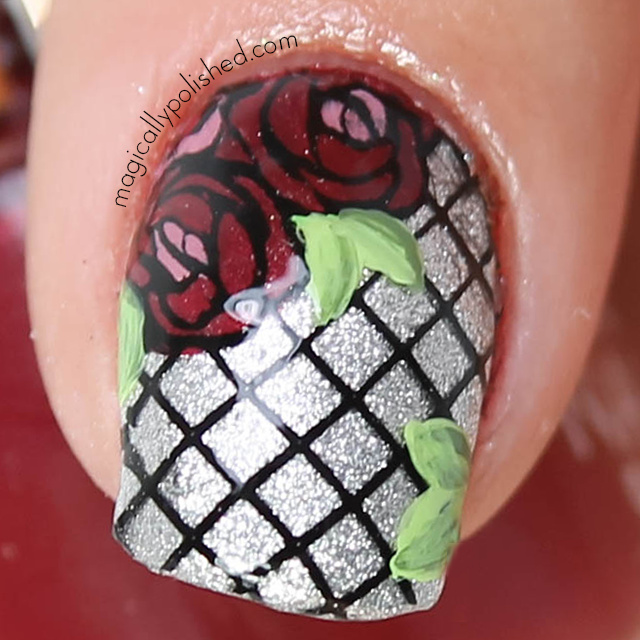 The formula was just perfect and applied perfectly on the nails. This is one coat sealed with gel top coat. For this design, I wanted to create a fun and simple look for the winter (and it was loosely inspired by one my faves nail bloggers: Cocos Nailss). 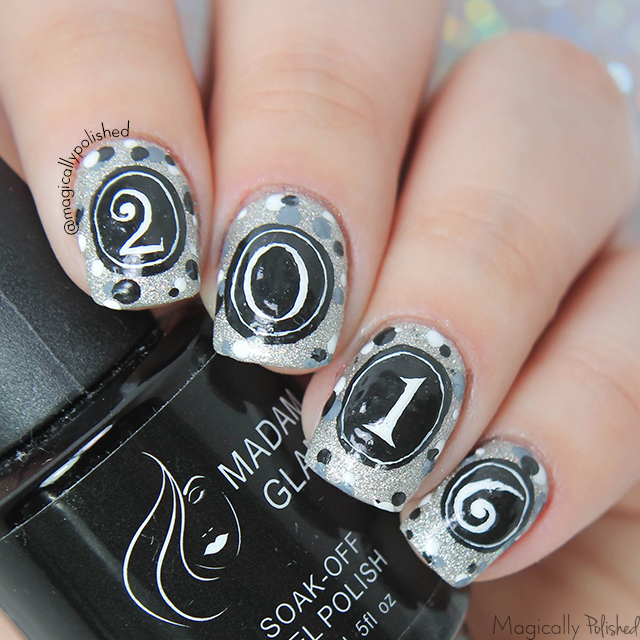 For the first two nails I used Madam Glam's 3 in 1 Gel Polish pens: New York Lights (#001), Perfect Black for the ring finger and white polish. 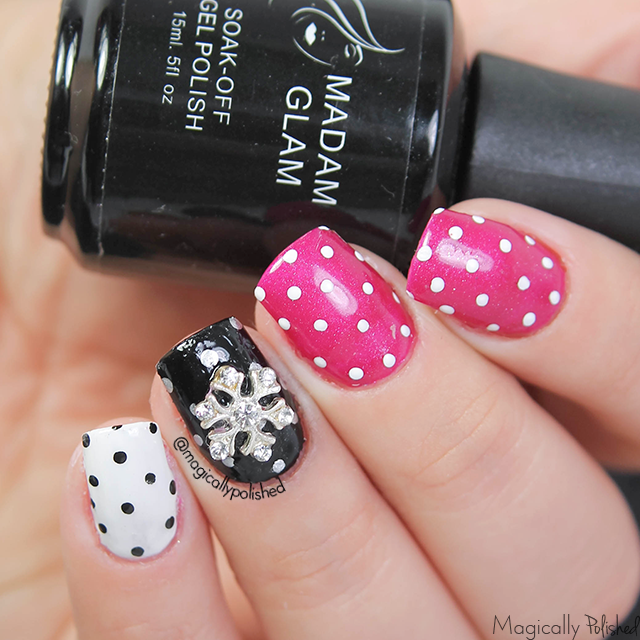 Once I finished adding the polka dots, I added a snowflake charm from Daily Charme. 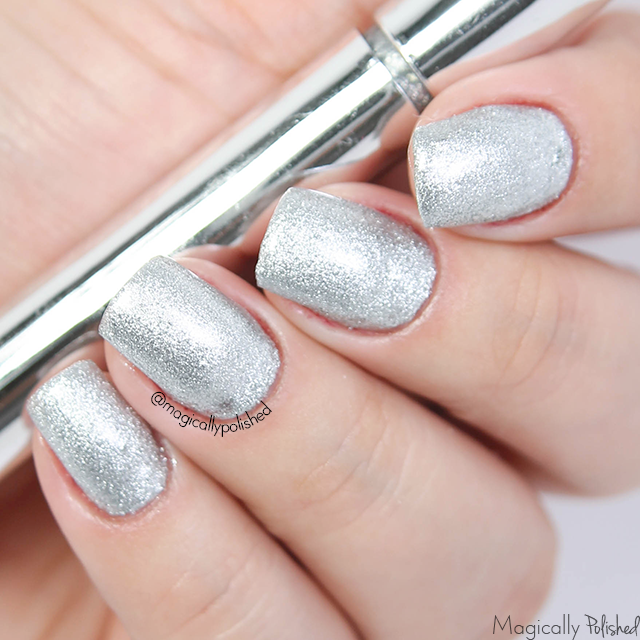 Sliver Magic- is a sliver glittery holographic polish and a perfect color for the holidays. The formula on this polish was slightly on the thick side...due to all the glitters in the polish (which didn't bother me so much after seeing them on my nails). This is one coat sealed with gel top coat. 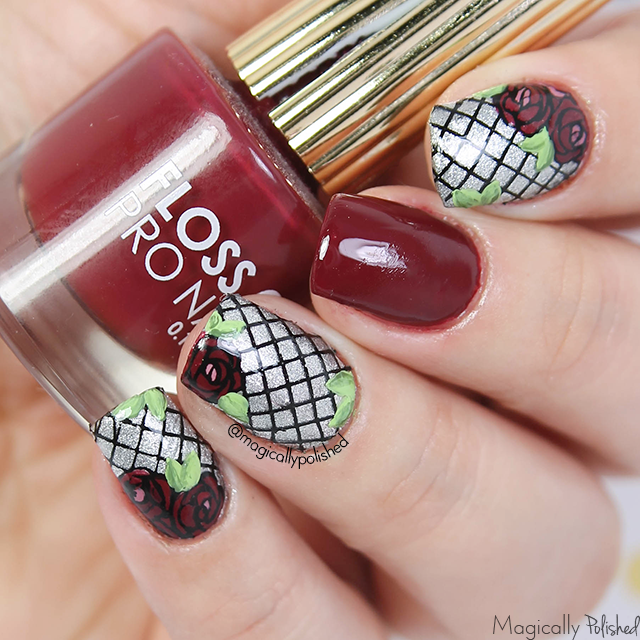 For the last manicure of 2015, I've decided to create a new years design since we are now going to 2016. I was pretty much inspired by an invitation card I saw on Pinterest. I really loved the numbers and knew it would be the perfect look using Sliver Magic as a base. Bubble Gum- is a really pretty light pink creme (and a perfect shade for the color of the year!) It's so beautiful and elegant to wear, and I love how it works with my skin! The formula on this polish was very good and applied easily onto the nails. This is two coats sealed with gel top coat. Irresistible- is a blue/green teal creme with specks of shimmer throughout the polish. Unfortunately my pictures turned out to be a bit brighter than it is on person, nonetheless this shade is very pretty. The formula on this polish was very good and applied easily onto the nails. This is two coats sealed with gel top coat. 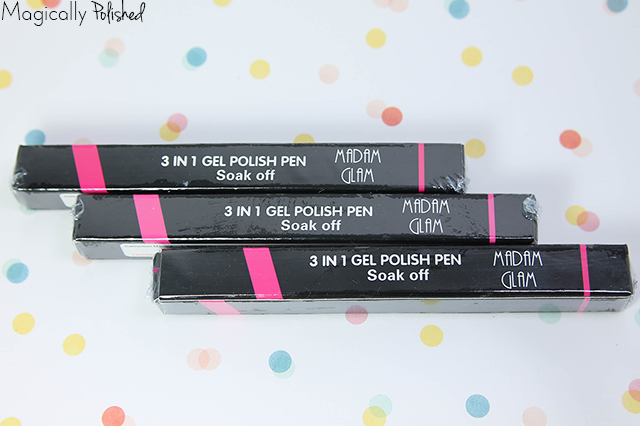 Now for the 3 in 1 Gel Nail Polish Pens: These are Madam Glam's new product, a fast an easy way to apply gel. 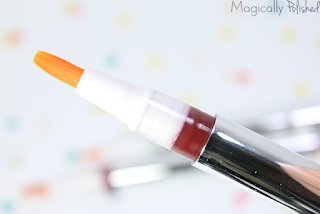 The polish is in the handle of the brush and you twist the end in order to distribute the gel into the synthetic brush tip. The consistency of the polish are nice and smooth. Coming off of the brush was a bit of an issue. You will have to much or struggle with a twist and the gel coming out. However, the colors were very pretty and I really do love how they look when applied. New York Light (#100)- is a pretty fuchsia pink creme with tons of shimmers throughout the polish. is a shiny sliver gel polish creme. The formula on this polish was very good and applied easily onto the nails. Since it's a 3 in 1 no top coat needed. Wine (#005)- is a gorgeous red creme, perfect for this season. is a shiny sliver gel polish creme. The formula on this polish was very good and applied easily onto the nails. Since it's a 3 in 1 no top coat needed. Wine (#005) and Winter Sky. Winter Sky- is a shiny sliver gel polish creme. The formula on this polish was very good and applied easily onto the nails. Since it's a 3 in 1 no top coat needed. For this look, I wanted to use my Blogger Collaboration with Bundle Monster floral print and it went perfectly with Floss Gloss Picnic. I really love this color and this combo. I added the green leaves to finish the look. Overall I am very impressed with Madam Glam gel polishes and their unique shades. Seriously one of the best gel polishes I've worn! I even love the swatch cap! As for the removal process, I completely for got to take pictures. However, it was very easy to remove and left little residue. I just simply buffed my nails lightly and it was perfect. 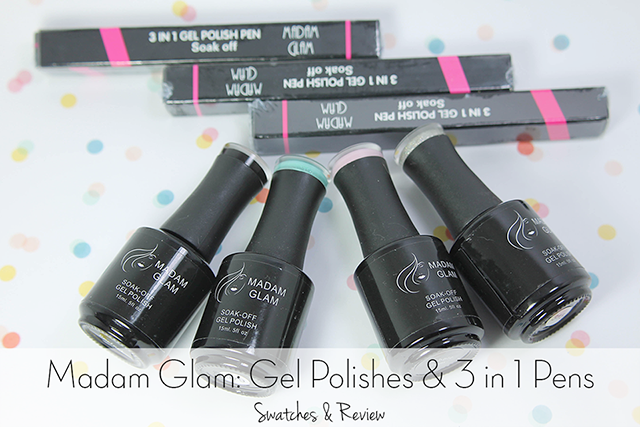 You can purchase these polishes on their site:Madam Glam for the gel polishes $19.95 and 3 in 1 gel pens for $9.95 each on their site. Get 30% off on their orders with my coupon code: magicallypolished30! Twitter: madam_glam Hope all of you enjoyed my post today! What do you guys think? Let me know in the comments below!